A/D An acronym for “Analog to Digital,” which refers to the conversion of analog signals to digital data. Acronym A word formed from the first letters of other words (e.g., GUI, ADAT, TRS, etc.). ADAT An acronym for “Alesis Digital Audio Tape.” ADAT was the name given to the Alesis-branded products of the 1990s which recorded eight tracks of digital audio on a standard S-VHS video cassette. The term now generally refers to the 8-channel optical “Lightpipe” connection that is used in a wide range of digital products from many manufacturers. API Acronym for Application Programming Interface. A software layer between an operating system and third-party hardware (such as an audio interface) and/or software (such as a DAW). For example, a computer OS’s audio API enables audio hardware and audio software from different vendors to communicate with the OS and each other. ASIO Acronym for Audio Stream Input/Output. ASIO is an audio interface driver protocol for Windows operating systems developed by Steinberg GmbH. Authorize / Authorization Authorizing the UAD/Apollo system updates the list of plug-ins owned by the user. 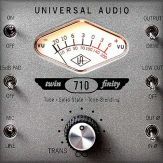 UAD plug-ins must be authorized before they can be used. Balanced Audio cabling that uses two twisted conductors enclosed in a single shield, thus allowing relatively long cable runs with minimal signal loss and reduced induced noise such as hum. Buffer, buffers, buffering The transference of data in small batches instead of continuously. Buffering induces latency (delay) and is inherent in most digital audio systems. Bus A signal path that carries more than one signal, e.g., a mix bus, auxiliary bus, headphone cue bus, etc. Channel Input Strip A group of controls that pertain only to the functions contained within a particular mixer input channel. In most mixing consoles, the “strips” are duplicated for each input. Class A One design technique used in electronic devices such that their active components are drawing current and working throughout the full signal cycle, thus yielding a more linear response. This increased linearity results in fewer harmonics generated, hence lower distortion in the output signal. Clock In digital audio or video, a clock serves as a timing reference for a system. Every digital device must carry out specified numbers of operations per period of time and at a consistent speed in order for the device to work properly. Digital audio devices such as Apollo normally have an internal clock, and are also capable of locking to external clock routed from other digital devices. In order to avoid signal degradation or undesirable audible artifacts, it is absolutely critical that all digital devices that are interconnected in a system be locked to the same clock. Clock Distribution Refers to the process of routing a master clock signal (either from an internal clock or an external source) to multiple devices by means of multiple outputs, thus removing the need to cascade the clock through external devices, which can degrade the signal. Core Audio The audio API for Mac OS X.
DAW Acronym for “Digital Audio Workstation” – that is, any device that can record, play back, edit, and process digital audio. dB Abbreviation for “decibel,” a logarithmic unit of measure used to determine, among other things, power ratios, voltage gain, and sound pressure levels. dBm Abbreviation for “decibels as referenced to milliwatt,” dissipated in a standard load of 600 ohms. 1 dBm into 600 ohms results in 0.775 volts RMS. dBV Abbreviation for “decibels as referenced to voltage,” without regard for impedance; thus, one volt equals one dBV. DI Acronym for “Direct Inject” or “Direct Input,” a recording technique whereby the signal from a high-impedance instrument such as electric guitar or bass is routed to an input. DI into mixer or tape recorder inputs often employ use of a “DI box,” which raises the signal to the correct voltage level at the right impedance. Dither Minute amounts of shaped noise added intentionally to a digital recording in order to reduce a form of distortion known as “quantization noise” and aid in low level sound resolution. Dry Refers to a signal that is unprocessed, e.g., recording a dry signal. The antonym of a “wet” signal. DSP Accelerator A device dedicated to digital signal processing. 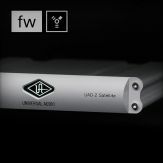 UAD-2 devices are DSP accelerators. Dynamic Microphone A type of microphone that generates signal with the use of a very thin, light diaphragm which moves in response to sound pressure. That motion in turn causes a voice coil which is suspended in a magnetic field to move, generating a small electric current. Dynamic mics are generally less expensive than condenser or ribbon mics and do not require external power to operate. EQ Abbreviation for “Equalization,” a circuit that allows selected frequency areas in an audio signal to be attenuated or boosted. FET Acronym for “Field Effect Transistor.” A type of transistor that relies on an electric field to control the shape, and hence the conductivity, of a “channel” in a semiconductor material. Firewire (Interface) FireWire is a high-speed real-time interface for serial bus and isochronous/synchronous data transfer between enabled devices. Firmware Software that is embedded in hardware. Flex Driver Apollo technology that enables customized I/O mapping at the Core Audio driver level. Flex Routing Apollo technology that enables its physical inputs to be routed to various physical outputs. Compare to Virtual I/O. FPGA Acronym for “Field Programmable Gate Array.” A type of integrated circuit that can be programmed after manufacturing (“in the field”) to perform specialized functions. 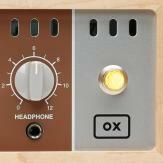 Front End Refers to a device that provides analog and digital input/output (I/O) to a digittal audio workstation (DAW). Apollo is a front end. GUI Acronym for Graphical User Interface. Hi-Z Abbreviation for “High Impedance.” Apollo’s Hi-Z input allows direct connection of an instrument such as electric guitar or bass via a standard unbalanced 1⁄4” jack. 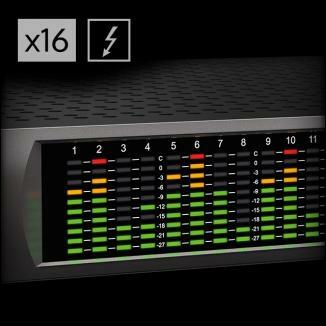 High Resolution In digital audio, refers to 24-bit signals at sampling rates of 88.2 kHz or higher. Hz Abbreviation for “Hertz,” a unit of measurement describing a single analog audio cycle (or digital sample) per second. Impedance A description of a circuit’s resistance to a signal, as measured in ohms, thousands of ohms (Kilohms), or millions of ohms (megohms). Jitter Refers to short-term variations in the edges of a clock signal, caused by a bad source clock, inferior cabling or improper cable termination, and/or signal-induced noise. A jittery signal will contain spurious tones at random, inharmonic frequencies. Usually, the jitter will be worse with higher signal frequencies. The internal digital clock of Apollo was designed for extreme stability and jitter-free operation, and its onboard phase aligned clock conditioner circuitry removes jitter from external sources, so conversion quality is unaffected by clock source. Lightpipe A digital connection made with optical cable. 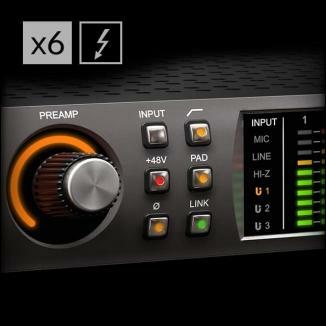 This was a phrase coined by Alesis to make a distinction between the proprietary 8-channel optical network used in their ADAT products and standard stereo optical connectors used on CD players and other consumer products. Line Level Refers to the voltages used by audio devices such as mixers, signal processors, tape recorders, and DAWs. Professional audio systems typically utilize line level signals of +4 dBm (which translates to 1.23 volts), while consumer and semiprofessional audio equipment typically utilize line level signals of -10 dBV (which translates to 0.316 volts). Mic Level Refers to the very low level signal output from microphones, typically around 2 millivolts (2 thousandths of a volt). 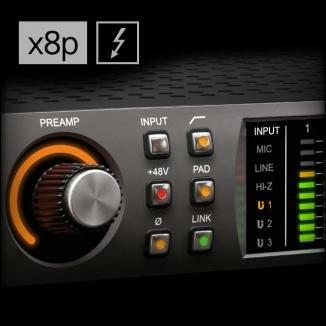 Mic Preamp The output level of microphones is very low and therefore requires specially designed mic preamplifiers to raise (amplify) their level to that needed by a mixing console, tape recorder, or digital audio workstation (DAW). Mute “Turn off the signal.” Mute stops the signal from being routed. Native Refers to computer-based digital audio recording software controlled by the computer’s onboard processor, as opposed to software that requires external hardware to run. OS Acronym for Operating System. The OS is the software used to control the computer hardware, such as OS X (Mac) and Windows (PC). Pan Abbreviation for “Panorama” or “Panoramic.” A pan control determines a monophonic signal’s positioning in the stereo field. Patch Bay A passive, central routing station for audio signals. 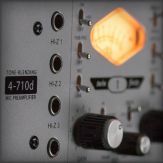 In most recording studios, the line-level inputs and outputs of all devices are connected to a patch bay, making it an easy matter to re-route signal with the use of patch cords. Patch Cord A short audio cable with connectors on each end, typically used to interconnect components wired to a patch bay. PDF Acronym for “Portable Document Format.” PDF is the standardized file format used for distribution of documentation in electronic form. Various applications can open PDF files; one such “reader” application is available for free at www.adobe.com. Plug-In Software components that are added to host software applications to enhance their functionality and/or performance. 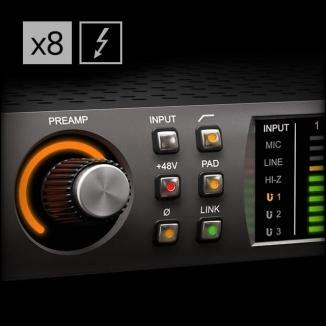 Powered Plug-Ins High-quality audio processing plug-ins, developed and sold by Universal Audio, that run exclusively on UAD DSP accelerator products. 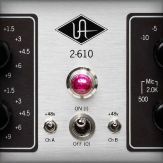 Realtime UAD Processing Universal Audio’s DSP + FPGA technology that enables UAD Powered Plug-Ins to run with latencies in the sub-2ms range. 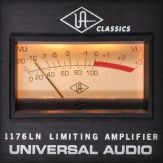 Realtime UAD processing provides the ultimate sonic experience while monitoring and/or tracking. 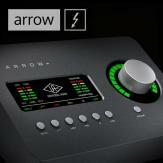 Realtime UAD processing is a special function that is available only within the Console application. 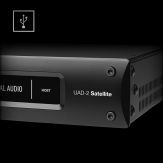 Register / Registration All UAD / Apollo devices must be registered into the user’s UA account before they can be used. Ribbon Microphone A type of microphone that works by loosely suspending a small element (usually a corrugated strip of metal) in a strong magnetic field. This “ribbon” is moved by the motion of air molecules and in doing so it cuts across the magnetic lines of flux, causing an electrical signal to be generated. Ribbon microphones tend to be delicate and somewhat expensive, but often have very flat frequency response. Sample Rate Conversion The process of altering a digital signal’s sample rate to a different sample rate. Thunderbolt (Interface) Thunderbolt is a hardware interface that allows the connection of external peripherals to a computer. Transcoding Converting one type of digital signal to another (i.e, from AES to SPDIF, or from ADAT to AES). Transformer An electronic component consisting of two or more coils of wire wound on a common core of magnetically permeable material. Audio transformers operate on audible signal and are designed to step voltages up and down and to send signal between microphones and line-level devices such as mixing consoles, recorders, and DAWs. Transient A relatively high volume pitchless sound impulse of extremely brief duration, such as a pop. Consonants in singing and speech, and the attacks of musical instruments (particularly percussive instruments), are examples of transients. 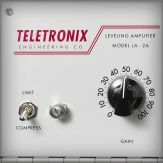 Transimpedance Preamplifier A transformerless solid-state preamplifier utilizing a transistor configuration that employs current feedback for ultra-low distortion and the highest possible quality of signal from input to output. The transimpedance design allows audio from 4 Hz to 150 kHz to pass through without altering the phase relationships between fundamental frequencies and overtones. 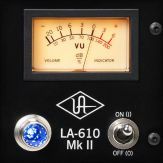 Noise and distortion are kept to near-theoretical minimums so critical signals may be generously amplified without degrading the quality or character of the sound source. TRS Acronym for Tip-Ring-Sleeve. A 1⁄4” phone connector with three conductors, typically used for balanced signal connections (e.g., I/O) or carrying two unbalanced signals (e.g., headphones). TS Acronym for Tip-Sleeve. A 1⁄4” phone connector with two conductors, typically used for unbalanced signal connections. Note that TS, like TRS and XLR, denotes the connector only and does not necessarily indicate the signal level of the connection. TS/TRS/ XLR cables are used for both low-level (e.g., microphones and instruments) and line-level connections. UAD Acronym for “Universal Audio Digital.” Used in reference to digital products created by Universal Audio. 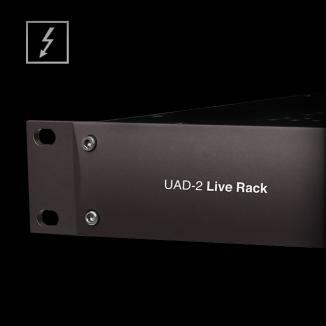 UAD-2 A line of DSP accelerator products developed and manufactured by Universal Audio. 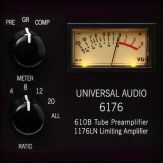 Unison Universal Audio’s exclusive preamp hardware/software integration technology that enables UAD preamp plug-ins reconfigure the physical input impedance, gain staging response, and other parameters of Apollo’s mic preamp hardware to match the emulated preamp’s hardware design characteristics with bi-direction control. 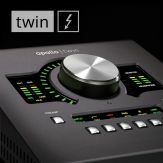 Virtual I/O Apollo audio inputs and outputs that exist in software but not in hardware. Virtual I/O is used to route digital audio channels between Console and other audio applications. Compare to Flex Routing. Wet Refers to a signal that is processed, e.g., recording a wet signal. The opposite of a “dry” signal. XLR A standard three-pin connector used by many audio devices, with pin 1 typically connected to the shield of the cabling, thus providing ground. Pins 2 and 3 are used to carry audio signal, normally in a balanced (out of phase) configuration.